This young four piece band from Newquay, take us back in time to the 50's and 60's. 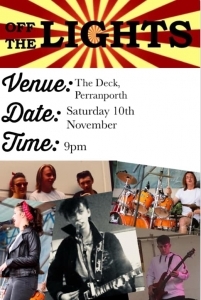 Perranporth was pleased to have them play here at last years Christmas market and this years carnival. This promises to be a great eveing at the Deck, entry is free and it all starts at 9pm.